Stale rank air greeted the adventurer’s party as it stepped into the sewers. After a few seconds of preparation, most of the adventurers charged forward, reckless, in haste and raged. But one small halfling took the hindmost. She’d been burned before by overzealous party members. Huge spiders leapt from crevasses and from dark perches overhead, immediately overwhelming and surprising those ahead of her. These spiders were so massive that the halfling could conceivably put a harness and saddle on one and ride it back to Stormreach. Several party members faded back immediately, bitten by the poisonous spiders. A lone healer struggled to remove poisons and heal while others defended her. “Amateurs,” Flynncletica muttered to herself. She hummed a little, channelling a little bardic power to add blurriness and health to a couple of the struggling party members. One spider broke from the group and charged. But she didn’t raise her sword arm. Flynn leaned back a bit to brace herself and moved her left arm ahead. First thing these bugs will do is to try to bite you, she recalled. Block, and I avoid getting poisoned. The spider’s fangs met the tiny shield with a loud crack. Droplets of venom spattered harmlessly away. Flynn’s feet slid backward on the slight slipperiness of the grimy sewer floor. Not only did her shield block avoid the spider’s bite, the monster moved too quickly against the swashbuckler’s defenses, collapsing to the stone floor on all eight legs, knocking itself down. Flynn’s sword arm seized the brief opportunity, the rapier assailing the prone spider like the sting of an angry hornet. In moments, the heart of the spider had beat its last, having never scored a single hit against the small swashbuckler. One down, ten spiders to go. Flynncletica advanced into the outskirts of the fray to join her comrades. A favorite show I like to (re)watch while gaming is Log Horizon. I’ve already gushed enough about the show here. What brought it to mind as I’ve been playing with my new Swashbuckler character, Flynncletica, involves how the role-play nature of the film and TV swashbuckler meshes with the combat actions of the gamer’s version as well as how swashbuckling appears in other media. The new class lets me reminiscence a little. 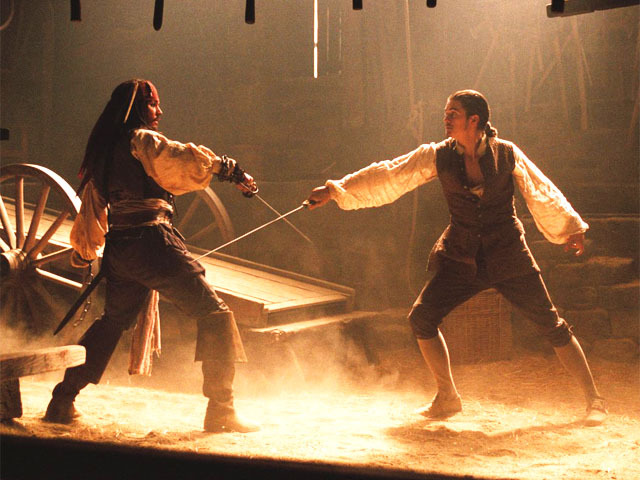 I took a Fencing course in college and vividly remember how it greatly differs from the cinematic style and how fun it was to fight realistically with rapiers. Hint: You’re supposed to stab somebody. I also remember how many times I lost the skin from my hands and arms from duels, despite protections. All that showmanship in cinema won’t do a thing for me in my fights in DDO, but the Bard has a few ways to make a little quasi-cinematic magic in the game. Will SOMEBODY just stab someone already?! One thing that’s quite sure in Flynncletica’s world is that “Flynning” is not going to happen (despite her name). For those too lazy to click the TV Tropes link, “Flynning” is how sword fights are normally shown–badly simulated, where the actors are basically slapping their blades at each other, never quite seeming to try to actually poke or slice each other. The Jedi/Sith fights in the Star Wars movies were a more kendo-style version of Flynning, but at least they were trying to hit each other with better fight choreography in the later films. But I loathe most other sword fight films because this trope is quite common there. The new Swashbucklers in DDO must attack for damage, not just flail their weapon about. While blocking is a good idea, there’s not much time often in attack/riposte/attack/riposte, and blocks are done by your shield (if any), not a sword. It’s a go-for-the-jugular combat. There’s also size and strength limits. You couldn’t do Flynning against an angry giant with a club as large as you are. That said, the DDO Swashbuckler gets an interesting ability where enemies that miss you in melee have a 20% chance of knocking themselves down. A run through Splinterskull turned funny as I watched spiders drop to all fours–er…eights–as they missed me and fell, allowing for a quicker kill. Nyanta from “Log Horizon.” Poised. Elegant, Quintessential swordplay. Bonus points in taking down a Monk, too. 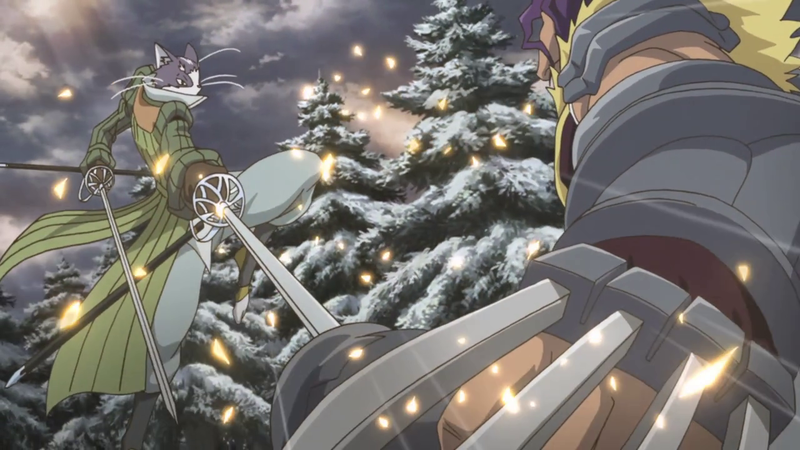 Nyanta, a statuesque were-cat in Log Horizon, is a type of swashbuckler. His class in this game-turned-reality gets to dual-wield two rapiers. As the show narration notes (often explaining their game-now-reality combat and spell mechanics), the LH Swashbuckler’s swift attacks will damage a character’s stats, lowering Dodge and defenses. And Nyanta has no problem in using his gentlemanly cat-speak to question your fighting style and perhaps your questionable upbringing while he slices and pierces you to death. As a Bard, Flynncletica’s powers often buff allies rather than debuff. I’m enjoying one debuffing ability: Cutting Jibes. It’s a taunt that lowers nearby enemy Will saves by 3, which make Charm spells easier to land. I’m training Flynn to be a master Charmer, to cause chaos by charming as many enemies to my side to reduce attacks on me and my party while I concentrate on other targets. One nasty fight you’d likely recall occurs in the latter part of “Come Out and Slay” in the Sharn Syndicate chain. Fighters, mages, bards, archers are all lining your escape path and will swarm you fast if you try the direct approach. Flynn took the high road, charming as many enemies while above the path as she could to keep the aggro off the party and whittle down the enemy’s own attacks with their own kin, making for an easy victory. I’m quickly learning that the Perform skill is just as critical for a good Bard as the Concentration skill is to a Monk. 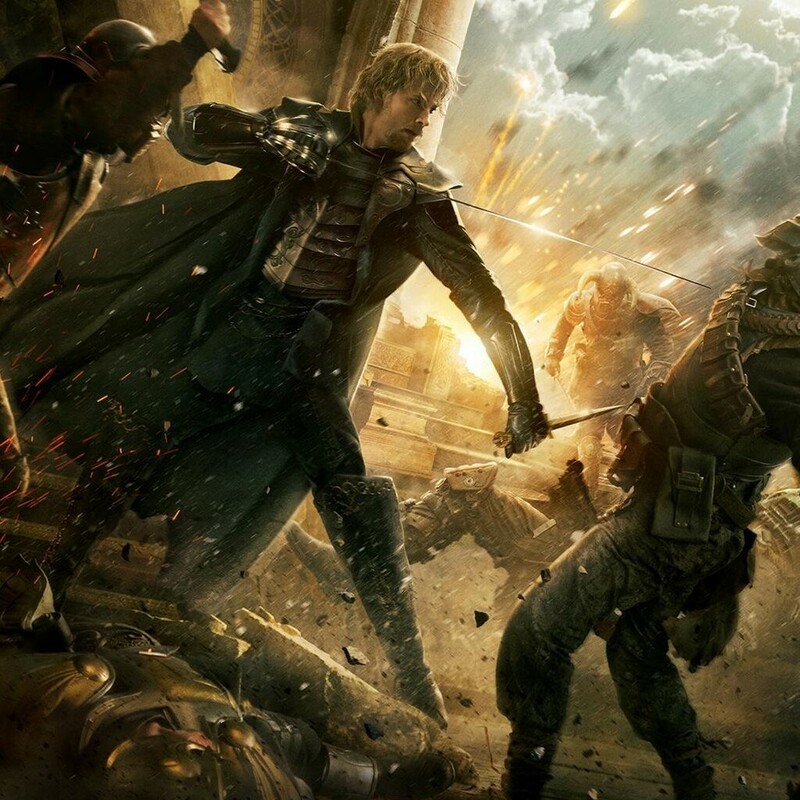 Fandral, as seen in “Thor: The Dark World,” keeps a dagger handy as he fights dark elves. Can’t say I blame him. Elves be tricksy. And then there’s Fandral, the swashbuckling Asgardian in the Thor movie series and comics. Modeled after Errol Flynn, Fandral uses a rapier to fight ridiculously powerful enemies. Fandral’s fighting style (the side dagger in the promo site ignored) is supported in DDO: You can wield only a blade in your main-hand and nothing in your off-hand. If you do so, you can gain 10% to Doublestrike (or Doubleshot if you’re using a thrown weapon). You may also use a buckler (a very small shield, as Flynncletica uses) and gain 10% Dodge as a result, or use a Orb or Rune Arm if you are trained with more arcane or arcano-mechanical savvy, gaining spell power or spell point benefits, once you train the appropriate ability. Fandral’s fight power is also reflected in DDO. As noted in the last post, the new Single Weapon Fighting line of feats increases attack speed and damage tremendously as you train them. Several abilities in the Swashbuckler tree allow power strikes with your weapon for greater damage to go with SWF. There are many rapiers in DDO, so Flynn has many types to use for specific needs. 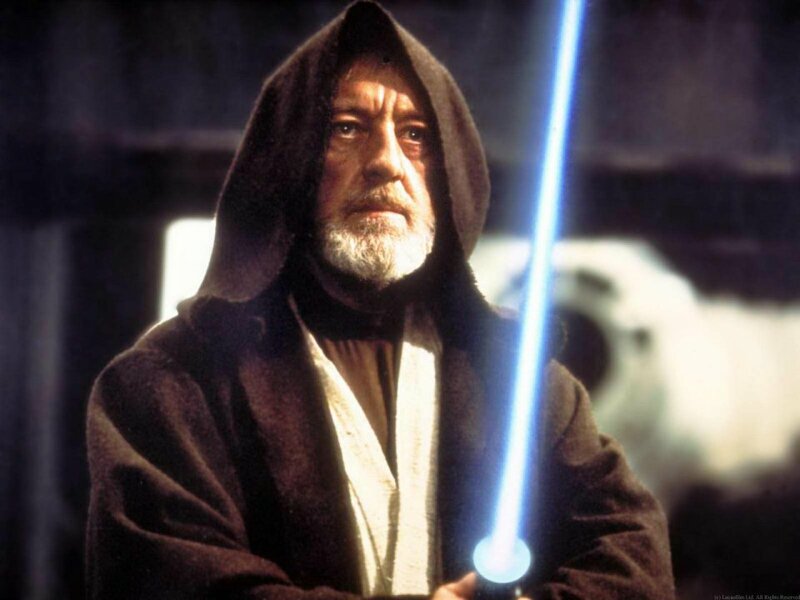 Obi-Wan Kenobi: Why sufficient skills can allow you to bring a (large) knife to a gunfight. As with other melee fighters, a Swashbuckler must endure any ranged attacks. The DDO version can train an ability to add Deflect Arrows to their defenses, effectively ignoring one attack every 6 seconds. But ranged attacks also include magic attacks, which gets trickier depending on your race or build. By level 20, the Eberron Swashbuckler gains Evasion from their last core enhancement ability to help. Before then, it’s up to their saving throws and whatever Spell Resistance they have to withstand magic. If Flynn were a Drow (she’s a Halfling) she’d gain innate spell resistance to ward off magic attacks that aren’t direct attacks, such as Holds. As a Bard, she’ll be able to train the Freedom of Movement spell to resist such attacks. I’m already missing the high saves of a Monk. I was in a party in “Redfang,” in the poison trap room, when a Monk in party daintily sprinted past me, activating the trap, avoiding any damage, but causing Flynn her first death as the poison struck with a toxic plume at point-blank range. As for nastier melee attacks, the Swashbuckler gets training bonuses to Dodge to help in miss chances. Unlike a Monk, however, a typical swashbuckler is wearing light armor, which will limit the amount of DEX applied to Armor Class and which also hinders the maximum Dodge Bonus they can possess. Halfling training should help here with Improved Dodge for me, and the class tree also gives Uncanny Dodge through a core ability. Bards are great with Concealment effects. I Blurred myself happily at low levels and now can add Displacement for a brief 50% level of protection. The weakest effect will be Incorporeality, which I’d likely have no greater than 10% with an item with Ghostly applied. The higher-end Ring of Shadows or Treads of Falling Shadow can add this. I find myself often settling into a certain stance, just before a fight, with each character. The ninjas are always in stealth. The Shintao Monks stand in active attack. I like to put Flynn’s buckler up immediately, and wait. As I noted, I don’t see many people actively blocking. They should. Active blocking gives them instant protection against a certain amount of damage, harsh weapon effects such as Maladroit, Crippling and Wounding, even against poison attacks and spells like Bane. The enemy AIs aren’t that diverse. After a time, you’ll know that a certain enemy starts their attacks with a debuff, or a charging attack. It’s also why the Balance skill is required for the Swashbuckler so that they can stay upright against things, or at least get up from being prone faster. A charging Swashbuckler, in my experience so far, is a dying one. Let the prey come to you. Let them make the first move, then swat things down that dare to duel like the flies that they are. That shield can also be used for attacks with a shield bash. The Swashbuckler gets Low Blow, a special attack that simulates a shield bash (the character doesn’t make the actual motion) that knocks down an enemy based on a Perform skill DC. While slower than the Monk’s Stunning Fist, the Low Blow is very reliable so far, moreso than Stunning Blow. Combining Low Blow with a later instant-kill attack, Coup de Grace, a Swashbuckler in defensive mode is more dangerous than a rampaging one. Doesn’t seem that Coup de Grace is working as well as it should and might be bugged. There are so few bucklers out there for better defenses that it makes the returning shuriken-hunting game seem very, very easy. As I might have noted before, there are precisely two named non-crafted bucklers in the game, and both are Epic level: the Barnacled Buckler and the humorous-looking Kobold Admiral’s Tiller. The only other is the confusingly-named “Swashbuckler,” a buckler in several flavors based on your crafting ingredients from the Crystal Cove event. As if Turbine read my mind, the Cove reopened, through the American Independence Day holiday weekend on July 6th. I’ve built a level 8, 12 and 20 version of the shield, upgrading the 8 and 12 versions so far. The tier-3 Epic version adds Insightful Dexterity with a blue augment slot, along with the high 6% doublestrike, Reposte and Guardbreaking effects. I love Guardbreaking. It’s a dazing effect that works on most everything, undead included, allowing me several free attacks. Farming the Cove has been fairly easy at Level 9 or so, even making solo runs with one hireling to farm for dragonshards. Flynn is a great room clearer. I’ve also a ton of higher-level gems to get to work on that Epic Swashbucker from past runs. And Pynthetica’s old closet of things from her Ranger life has yielded an Epic Duelist’s Leathers, light armor that’s highly recommended by those in the Swashbuckler discussion threads for it’s improved Maximum Dexterity and Armor bonuses. Playing Monks for so long, I’ve been used to easy Dodge numbers. With any kind of armor, that’s limited without some special adjustments. Being a Halfling, I have a couple of racial skills that could help this, too. Experience points are so ample that Flynn seems to gain XP just by merely logging in! Almost all of my action points have gone solely into the Swashbuckler tree and I haven’t regretted that at all yet. But I’m still a Bard neophyte and need to improve several abilities to ensure my charms work when I need them for most anything as well as some party crowed control. But I’m stumped a bit. Reading through the Warchanter and Spellsinger trees, I had no idea what might be better for a melee-oriented Bard. Forum threads suggested Warchanter is more inclined for me, and so have begun adding a few points there, cautiously.